Reiki is a non-invasive, gentle, yet powerful method of healing. It enhances the body`s natural healing ability and promotes wellbeing. “Reiki treats the whole person including body, emotions, mind and spirit creating many beneficial effects that include relaxation and feelings of peace, security, mental clarity, sense of wellbeing. Reiki is life force energy to improve one’s health and quality of life. It has a spiritual component in its healing. ‘Rei’ is the Japanese word for ‘Higher Power’ and ‘ki’ is the life force energy, which is present all around us. . In other words, Reiki is a ‘spiritually guided life force energy’. 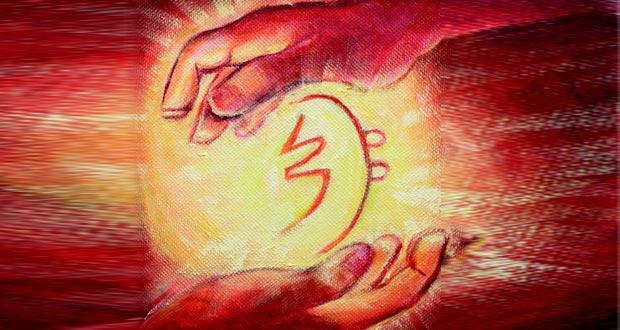 Reiki treatment increases your supply of life force energy and helps you heal quickly. You start moving toward your unique physical, mental , and spiritual balance, and your body’s own healing mechanisms begin to function more effectively. Reiki is administered by the hands, placed lightly on The body. A Reiki Master through an Aattunementprocess transfers Reiki to a student. This process opens up the crown, heart and palm chakras and creates a special link between the student and the Reiki source. Anyone can learn Reiki and you are not required to have any prior knowledge or experience. The first level of Reiki is taught within a span of two days. Once you have crossed the first level the second and the third can be learnt after a period of practice. . Reiki teaches you to stop trying to understand and to start practicing and believing.